Why is ISO so Important to an Analytical Mycotoxin Laboratory? 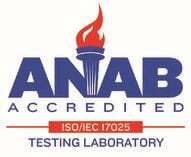 When choosing a laboratory, there are several questions you should ask: Is this laboratory ISO certified? Do they meet the qualifications to be certified? 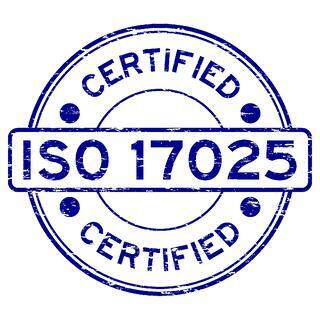 What are the necessary guidelines for a laboratory to be considered certified? Results Delivered on Time: Trilogy understands that an option for quick turnaround is important to our customers. Depending on the analysis, a client can choose from routine (3-5 business days for most analyses), one day, or even same day turnaround time. In this time frame, the sample is prepped for analysis, goes through laboratory purification, is run on either HPLC, GC or LC-MS/MS equipment, and is then calculated and reported to the client. Any result that is unable to be delivered in the time frame requested by the customer is considered late. Trilogy tracks and records all late results to monitor trends and look for opportunities for improvement. Minimize Preventable Re-Runs: Trilogy considers any sample that must be re-run and takes into account the reason for the re-run. A preventable re-run is a sample that needs additional analysis due to an error that could have been prevented, such as a technician error or log-in error. Just as late results are monitored, re-runs are tracked in a similar manner. If a trend is identified, the Quality Department can then take steps to modify the process to decrease errors and increase efficiency. Work Safely: When working in a laboratory setting, there are general safety rules that all employees must follow to protect themselves and other laboratory employees. In addition to employees wearing PPE (Personal Protective Equipment), Trilogy also appoints monthly safety officers, and employees stay up-to-date with safety concerns by attending annual safety training conducted by the Quality Department. Incidents and injuries are monitored so that any laboratory dangers can be eliminated, insuring that all staff are working in a safe environment. Orders and Shipping: Products that Trilogy produces and commercially sells (reference materials, reference standards, and SPE columns) were born from the need to monitor laboratory quality on a daily basis. These items are a necessity to any laboratory that values the quality of the results that are reported to customers. Trilogy is committed to providing these materials in a timely fashion. Once an order is taken, we monitor the time it takes to package the products, ship the order, and invoice the customer. Client Feedback: In every business, client feedback is tremendously important, whether it be negative or positive. Positive feedback lets a company know they are conducting business in a way that is helpful to customers and easy to navigate. This type of feedback is usually received much less than negative feedback. Negative feedback is helpful in its own sense. It can be used as a learning tool to help a company fix what is failing in their system. At Trilogy, every complaint we receive is treated with extreme care and logged into a system that helps the Quality Department track trends. All data is reviewed monthly so that any recurring issues can easily be pin-pointed and dealt with in an efficient manner. Trilogy uses these measurables to ensure that every employee is involved in making sure customers receive quality results and products in a timely manner. It’s important to know that whoever you choose to perform your analytical testing values the way results are achieved and is working every day to provide results that can be counted on. 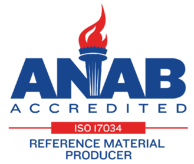 View our certificate of accreditation and scope, see more about our mission and values, or contact us if you have questions regarding our accreditation or the services we offer.